Miracles are plenty in the Bible. They happened during the deliverance of Israel from Egypt, the period of the prophets, life of Jesus and the early church. There were many reasons for miracles. In Egypt, they showed the power of God over the gods of Egypt. Miracles were used seeking to bring the children of God to repentance. Jesus affirmed He was the Son of God by the power of the Holy Spirit and He could forgive sins. The early church confirmed the word through the power of miracles. In the days of Elisha, a most extraordinary miracle took place. The sons of the prophets needed more room to live. They asked Elisha to allow them to build a humble place out of trees found near the Jordan. It was also insisted the prophet come with them to this work. Everything was going well until one prophet accidently let his axe-head slip off into the water. The Jordan was very swift and deep. Retrieving the axe-head would be impossible. Grieved at his misfortune, the prophet cried out to Elisha the axe-head was not his for he had borrowed it. The situation was not serious. This was not uncommon for a loosely secure axe-head to fly off the handle. The Law of Moses made a provision about flying axe-heads. Elisha could have told the prophet there was nothing to do and not to worry. The prophet could have told the one he borrowed the axe-head what had happened and he was sorry – not an earth-shattering event. This was not the case of the prophet or the son of the prophet. Finding where the axe-head fell, Elisha threw a stick into the water and the iron axe-head floated to the top. Instructed to retrieve the axe-head, a joyous man secured his borrowed treasure. The miracle itself seems unusual. Why go to the trouble? Most miracles are assumed to be for a greater cause like afflicting the king of Egypt or prove to harden hearts Jesus was the Christ or the preaching of the gospel was the truth of the Lord. This miracle was only to retrieve an axe-head. Looking a little deeper, one can see some important lessons in the floating axe-head. The son of the prophet was a humble man who had to borrow an axe to do his labor. 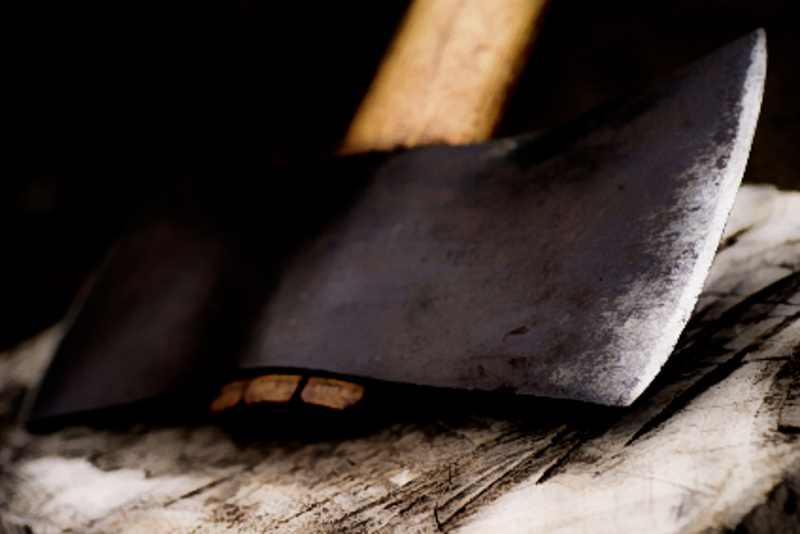 He cared deeply for his responsibility and the care of his neighbor’s axe. When the axe-head fell into the water, he could have told the one he borrowed from how sorry he was but there was nothing he could do. The loss was grievous for a man in those days. An axe was a life-blood of survival. No doubt, it was of great value to the one who owned the axe. The prophet cared deeply how this would affect his friend. His heart was concerned for his neighbor. It was not just an axe-head; it was how he had let down his friend. Elisha was of like mind as the son of the prophet. He could have told his fellow prophet that losing axe-heads happens a lot and there was nothing to do. Hearing the cry of the prophet, Elisha realized how important this was. He had the power to raise the axe-head and he did what he could do to bring solace to the man. It seems clear Elisha was doing this more for the man than the axe-head. Taking a stick, he threw it in the same place the axe-head fell and the axe-head floated to the top. Joy flooded the heart of the young prophet as he retrieved the borrowed possession. By God’s power, the prophet was able to return his borrowed axe to his friend with a greater sense of responsibility and a lot of joy. A final lesson is what the other prophets saw. They saw how their fellow prophet cared for the borrowed axe. Then they witnessed the kind compassion of their mentor, Elisha. This would make an impression upon them. Benevolence comes in many forms and this day it was a floating axe-head. Now that is a great story.